October 1931. Body by Mulliners on a Humber Snipe chassis. 1760 Company founded (question whether this applies to this company or the Northampton one of similar name). 1896 Mulliners of Birmingham showed a carriage frame for a Daimler motor chassis at the 1896 Motor Show. Herbert H. Mulliner was a director. 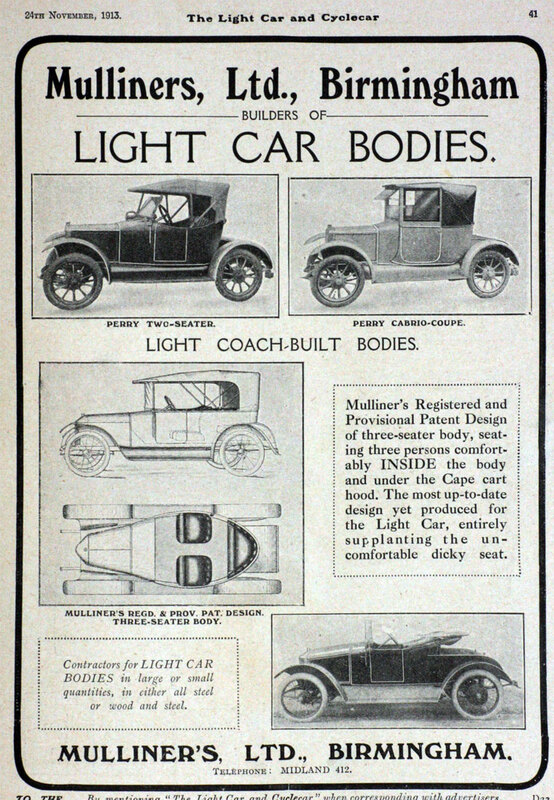 1908 The Motor Show featured separate stands for English-built and French-built Lorraine Dietrich cars. The English-built machines were made in Birmingham. 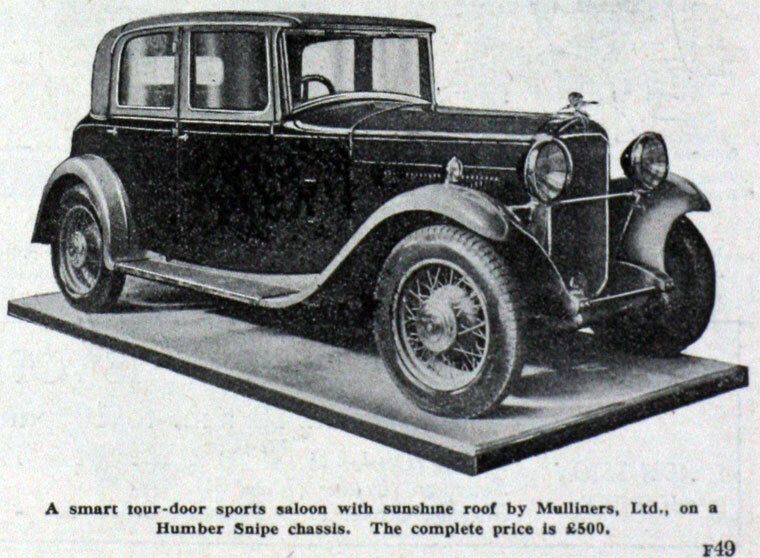 One had a specially-designed Mulliner cabriolet body; the other had an entirely enclosed carriage body by Salmons and Sons. 1924 Private company. Calthorpe gave up making cars. Post-WWII The Alvis: TA 14 was available as a four door Saloon by Mulliners of Birmingham, who also supplied bodies for other Alvis cars. c.1955 Mulliners was increasingly coming under the control of Standard Motor Co and the body supply for Alvis was becoming more difficult. This page was last edited on 17 July 2017, at 15:21.